When Peter and Nick Pentz set out to establish their vineyards, they identified 1000 hectares as potential sites for quality vineyards. However, they eventually settled on the best 140 hectares available and have 107 hectares planted to date. 100 Hectares have been planted to date. Their philosophy has been carried through to the cellar where only the best will be vinified with the remaining grapes being sold off.Vineyard plantings are all on the south-facing upper slopes of the Kapokberg in the Darling Hills overlooking the icy Atlantic Ocean. Altitudes of the vineyards vary from 200m to 450m above sea level. The prevailing summer south easterly winds keep the vineyards cool throughout the warm summer months. 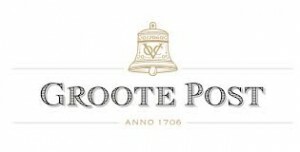 The effect of these cooling winds is amply illustrated by the fact that Groote Post harvest their Sauvignon Blanc 3 to 4 weeks later than they do down in the Darling and Malmesbury areas. Soils are deep with good water retention qualities. No irrigation is used and annual rainfall averages 480mm per annum. Viticultural consultant Johan Pienaar has overseen the vineyard developments. When the initial plantings were ready for harvesting, they were sold to nearby Darling Cellars, whose cellarmaster, Abé Beukes, always vinified their grapes separately, until the blending stage. The wine exceeded Peter and Nick’s expectations and the decision was made to fast-track the construction of a cellar in time for the 1999 harvest. The 300-ton capacity cellar was built in a restored historic fort (guarding post) on the Klawer Valley farm. 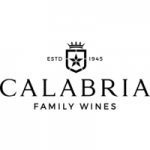 Their aim is clear – to maximise the potential of their outstanding terroir and produce wines of the highest quality.